Northpointe Dental is a state-of-the-art dental practice in Zanesville, Ohio! We have served Zanesville as well as the surrounding areas for over 20 years. We are dedicated to preventing dental emergencies and catastrophes through comprehensive preventative dentistry. We also offer cosmetic dentistry and restorative dentistry to help get your smile radiant and healthy once again. Using some of the latest dental technology, including DIA GNOdentÂ® laser cavity detection, digital radiography (digital X-rays), VelScopeÂ® Â oral cancer detection, WaterlaseÂ® dental lasers, and intraoral cameras, our dentist, Dr. Brian Waggle, and the rest of our caring, knowledgeable dental team will take care of your family’s smiles! Some of our most popular services include cosmetic BOTOXÂ®, Zoom! in-office whitening, mercury-free fillings, LumineersÂ®, InvisalignÂ®, and Six Month SmilesÂ®. No matter what the dental needs of you and your family are, we can provide you with the answers and solutions that you need. NorthpointeÂ Dental is your source for healthy, beautiful smiles. 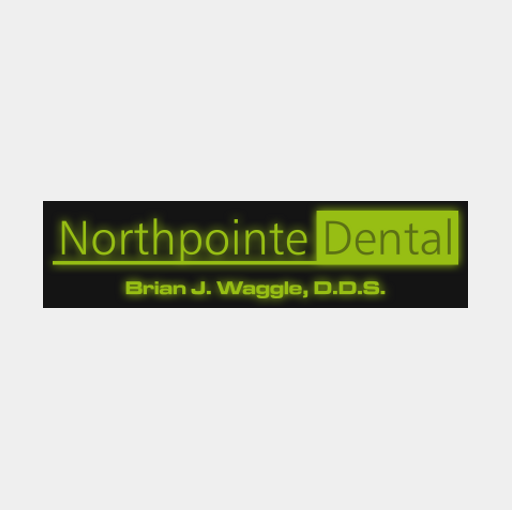 Call or visit our inviting Â and comfortable dental practice today, to schedule your family’s next appointments with Dr. Brian Waggle. It’s never too late to improve your oral health and smile!